The 2011 Chicago Bears season was the franchise's 92nd overall season in the National Football League, and the 8th under head coach Lovie Smith. The Bears, defending NFC North Division champions, attempted a return to the playoffs after falling in the NFC Championship Game to their arch-rivals the Green Bay Packers. The club was scheduled to partake in the Pro Football Hall of Fame Game but due to the lockout, the game was cancelled. The Bears traveled to Wembley Stadium in London to take on the Tampa Bay Buccaneers in the NFL International Series and played the Packers on Christmas Day evening in the only scheduled game on that day. The Bears finished the season with an 8–8 record and did not qualify for the playoffs to date. After the 2010 season ended, the NFL entered its longest work stoppage in history. The lockout began after a failure to reach an agreement between the owners and the union in early March. Both sides agreed to extend the deadline another week. However, the talks broke down and the union officially decertified, after which a group of 10 players filed an antitrust lawsuit against the league. After months of failed negations, the two sides finally reached an agreement in late July. The owners announced on July 21 that it had approved a new collective bargaining agreement by a 31–0–1 margin (the Oakland Raiders abstained). On July 25, the players association's executive board voted to approve the new collective agreement and the players voted to ratify it on August 4. The delayed start to the season brought free agency and the opening of training camps to coincide. This gave clubs a short period of time to get a full roster signed before camp opened. Draft Notes: Washington traded its second- (#53) round pick this selection to Chicago for Chicago's second- (#62) and fourth-round (#127) selections. The Bears forfeited their seventh-round selection, due to the use of a seventh-round selection in the 2010 Supplemental Draft. Following the end of the lockout, the Bears announced coming to terms with 26 undrafted free agents. On July 29, the Bears signed former Dallas Cowboys WR Roy Williams, former Pittsburgh Steelers TE Matt Spaeth for a three-year deal, former Jacksonville Jaguars P Adam Podlesh for a five-year deal, and former New York Jets DE Vernon Gholston. On July 29, the Bears agreed to three-year contracts with DE Jake Laptad, TE Draylen Ross, RB Dan Dierking and T Mike Lamphear. On July 30, the Bears signed former Dallas Cowboys RB Marion Barber and former Houston Texans DT Amobi Okoye. On July 31, the Bears signed former Seattle Seahawks C Chris Spencer. On August 2, the Bears resigned TE Desmond Clark on a 1-year deal. On September 4, the Bears signed S Brandon Meriweather. On July 28, the Bears released TE Brandon Manumaleuna after a failed physical. On August 1, the Bears waived P Richmond McGee and DT Sean Murnane. On August 2, the Bears waived S K.J. Gerard. On August 3, the Bears waived TE Draylen Ross. On August 8, the Bears waived RB Dan Dierking and QB Matt Gutierrez. On October 27, the Bears released S Chris Harris. On December 16, the Bears released WR Sam Hurd. Bears did not come to terms with 13 year-veteran Olin Kreutz. Kreutz would go on and sign a 2-year deal with the New Orleans Saints. Brad Maynard left the Bears and signed with the Houston Texans. On July 28, the Bears traded TE Greg Olsen to the Carolina Panthers for a 2012 third-round draft pick. On January 31, defensive line coach Eric Washington left the team to take the same position with the Carolina Panthers. On February 3, the Bears hired Mike Phair as their new defensive line coach. The Bears held training camp once again at Olivet Nazarene University in Bourbonnais, Illinois. The club has held annual training camp activities at the university since 2002. The franchise opened up training camp with an expanded roster of 90 players. Over the next month players competed for spots on the final roster. By August 30, the club had cut down players from 90 to 75 after the third preseason game. It was though announced on August 20, the roster cuts would be changed from 75 to 80 players. The franchise then had to make another round of cuts at the conclusion of the fourth preseason game on September 3. The final roster consisted of 53 players. The Bears wrapped up training camp with a final public practice on August 19 before heading back to team headquarters in Lake Forest, Illinois. The practice marked the end of the team's three-week training camp in Bourbonnais. On August 16, the Bears released WR Travis Cobb, whom the team had brought in at the start of camp as an undrafted rookie free agent. 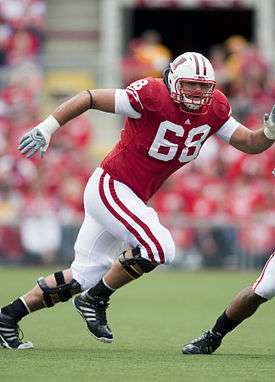 On August 17, the Bears released T Mike Lamphear, whom the team had brought in at the start of camp. On August 27, the Bears released CB Mike Homes. On August 29, the Bears released LB Tanner Antle, C J. C. Brignone, DE Vernon Gholston, DT Tank Tyler and QB Trevor Vittatoe. On September 2, the Bears released G Johan Asiata, LB Tressor Baptiste, CB Antareis Bryan, T Josh Davis, WR Andy Fantuz, LB Chris Johnson, WR Onrea Jones, CB Ryan Jones, P Spencer Lanning, DE Jake Laptad, C Alex Linnenkohl, LB Deron Minor, FB Eddie Williams and WR Jimmy Young. On September 3, the Bears released RB Chester Taylor, DT Marcus Harrison, TE Desmond Clark, RB Robert Hughes, WR Kris Adams, TE Andre Smith, S Anthony Walters, DT Jordan Miller, T Levi Horn, LB Patrick Trahan and G Ricky Henry. On September 5, the Bears released CB Joshua Moore. On September 6, the Bears released FB Will Ta'ufo'ou from the team. On September 4, the Bears signed former New England Patriot S Brandon Meriweather to a one-year deal. On September 7, the Bears signed FB Tyler Clutts to a three-year contract. On September 3, the Bears placed RB Harvey Unga on Left Team list. On September 3, the Bears placed LB J.T. Thomas on Injured list . On September 4, the Bears added WR Kris Adams, T Levi Horn, G Ricky Henry, DT Jordan Miller, TE Andre Smith, LB Patrick Trahan and S Anthony Walters to the practice squad. All players were part of the original 90-man training camp roster. On September 4, the Bears added former Tampa Bay Buccaneer RB Armando Allen to their practice squad. The club had scheduled an evening practice at Soldier Field in front of fans in an event called "Family Fest". However, the event was cancelled hours before the event was scheduled to begin due to the unsafe playing conditions at Soldier Field. This is not the first incident related to the playing surface at the stadium. Brian Urlacher and other players have called for the surface to be changed from natural grass to artificial FieldTurf. Chicago's mayor Rahm Emanuel has called on the Chicago Park District to find a permanent solution to the decades-old turf battle at the venue. However, Bears chairman George McCaskey has stated on record that the playing surface at Soldier Field will not change from grass to an artificial surface. McCaskey cited fewer injuries occur on natural grass and therefore believes the natural grass surface prolongs players' careers. He did admit a poorly maintained grass surface is unacceptable and promised the club will take a more active role in maintaining the playing surface so the field can be for home games. In Week 13, the field was resodded for the Bears-Chiefs game. Even though the league was in the midst of the lockout, the NFL announced the Bears' preseason schedule on April 12, 2011. The schedule contained the traditional four opponents and a fifth game to be played during the Pro Football Hall of Fame Class of 2011 induction weekend. The first scheduled preseason game for the Bears was to be the Pro Football Hall of Fame Game against the St. Louis Rams. However, with the lockout lingering into late July resulting in a delayed start to training camp, the NFL cancelled the game. The Bears won their first preseason game defeating the Buffalo Bills 10–3. The offensive line struggled in the game while giving up nine sacks over the course of the game. The Bears continued their preseason campaign with a visit to New Meadowlands Stadium in New Jersey to take on the New York Giants. The offensive line improved in the game by allowing only one sack of Cutler compared to the nine they gave up in a game last year. Cutler even joked about the experience by responding "Yeah, upright" to the question asked to him if this game against the Giants felt any different than last year's debacle. Cutler did express pleasure with the performance of the two young tackles, Webb and Carimi, when asked to assess their performance during preseason. The team did however fail to score twice inside the red zone in the 1st half against the Giants in a 41–13 loss. The game also saw the Bears had a punt blocked by the Giants and newly signed WR Roy Williams drop the first two passes thrown to him in his Bears career. In the third game, the Bears's first team offense showed more effectiveness than in previous games. The offensive starters racked up 239 yards in the first half. The team wrapped up the preseason season against the Browns by sitting out many key starters with instead going with various second-, third-, and even fourth-stringers in a very warm and humid night in Chicago. On September 4, a day after rosters were trimmed down to 53 men, the Bears signed former first-round draft pick and two-time Pro Bowler safety Brandon Meriweather, who was released by the New England Patriots the previous day. In response to adding Meriweather, the Bears released corner back Joshua Moore to keep the roster at 53 men. On October 11, the Bears released S Winston Venable. On November 14, the Bears released DE Nick Reed from the club. On November 21, the Bears released DE Mario Addison. On November 24, the Bears released LS Jake Laptad. On November 29, the Bears released LB Brain Iwuh . On October 11, the Bears elevated S Anthony Walters to the 53-man roster from the practice squad. On October 28, the Bears claimed LB Jabara Williams off waivers. On November 9, the Bears elevated TE Andre Smith from the practice squad. On November 14, the Bears signed DE Chauncey Davis to a two-year contract. On November 16, the Bears signed S Winston Venable to a contract. On November 17, the Bears elevated G Ricky Henry from the practice squad. On November 19, the Bears elevated T Levi Horn from the practice squad. On November 22, the Bears signed LS Jake Laptad to a three-year contract. On November 23, the Bears signed QB Josh McCown to a one-year contract. On November 24, the Bears signed LS Chris Massey to a one-year contract. On November 29, the Bears elevated LB Patrick Trahan from the practice squad. On December 19, the Bears elevated RB Armando Allen, DE Thaddeus Gibson and WR Max Komar to the 53-man roster from the practice squad. 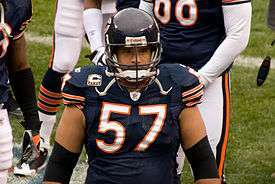 On November 8, the Bears resigned G/C Roberto Garza to a two-year contract extension. On December 2, the Bears resigned WR Earl Bennett to a four-year contract extension. On November 9, the Bears placed TE Kyle Adams on Injured Reserve. On November 14, the Bears placed G Chris Williams on Injured Reserve. On November 16, the Bears placed S Anthony Walters on Injured Reserve. On November 18, the Bears placed T Gabe Carimi on Injured Reserve. On November 21, the Bears placed LS Patrick Mannelly on Injured Reserve. On December 19, the Bears placed S Chris Conte and WR Johnny Knox on Injured Reserve. On October 11, the Bears terminate the practice squad contracts of WR Kris Adams and RB Armando Allen and sign WR Max Komar and DE Jake Laptad to the practice squad. On October 13, the Bears signed S Winston Venable to the practice squad. On October 27, the Bears terminated the practice squad contract of DE Jake Laptad. On November 1, the Bears signed RB Armando Allen to the practice squad. On November 8, the Bears terminated the practice squad contract of S Winston Venable. On November 8, the Bears signed G Reggie Stephens to the practice squad. On November 9, the Bears agreed to terms with TE Draylon Ross to the practice squad. On November 22, the Bears signed T Josh Davis and CB Joshua Moore to the practice squad. On November 23, the Bears signed T Perry Dorrestein to the practice squad. On November 23, the Bears terminated the practice squad contract of T Josh Davis. On November 30, the Bears signed LB Thaddeus Gibson to the practice squad. On December 19, the Bears signed RB Robert Hughes to the practice squad. On December 20, the Bears signed WR Johnathan Haggerty to the practice squad. On December 21, the Bears signed WR Kevin Jurovich to the practice squad. The Bears' regular season schedule was announced on April 19, 2011. One day earlier (April 18), the NFL announced that the Bears will face the Tampa Bay Buccaneers in the International Series at Wembley Stadium in London, England, on October 23. NOTES: All times are Central. Homes games are in Bold text. # Games played with alternate uniforms. † Games against division opponents. § Games against intra-conference non-division opponents. ≈ Games against inter-conference opponents. ^ Red/White (Blue border) indicates the International Series game in London. ‡ Green/White (Red border) indicates a Christmas Day football game. The Bears opened up the season against the Atlanta Falcons at Soldier Field. The Falcons were the top-seeded NFC team in 2010, and were picked by many to be a Super Bowl contender. The Bears dominated the game against the Falcons, forcing 2 turnovers, and battering quarterback Matt Ryan for five sacks. Brian Urlacher recorded an interception and returned a fumble for a touchdown resulting in Urlacher being named the NFC Defensive Player of the Week. Defensive end Julius Peppers recorded two sacks and forced a fumble. Jay Cutler in his first game since the criticism of the NFC Championship Game against the Green Bay Packers, had a solid performance throwing for 312 yards and 2 touchdowns. Cutler did have a pass tipped in the fourth quarter that was returned for an interception by Kroy Biermann. Falcons running back Michael Turner finished with 100 yards on 10 carries, but 53 came on one dash and the low carry total is what mattered. Ryan was forced to throw 47 times as the Bears made the Falcons one-dimensional by getting out to a 16–3 halftime lead. The victory places the Bears at 1–0. During the game, three Bears players fell to injury; Bears rookie Gabe Carimi was lost for the season with a knee injury, receiver Earl Bennett was lost for a few weeks, and safety Major Wright sustained a head injury after colliding with Saints tight end Jimmy Graham. The Bears were only able to muster one takeaway by cornerback Charles Tillman, who stripped the ball from Mark Ingram and recovered at the Bears 9-yard line. Saints quarterback Drew Brees' 79-yard touchdown pass to Devery Henderson was the longest that the Bears allowed since 2008 against the Vikings. The Bears had also been able to convert only 2 of 12 third down attempts, compared to New Orleans, who converted 8 of 17. With the loss, Chicago fell to 1–1. In 2012, the Bears were considered as one of the possible targets of the Saints bounty program because of the injuries to Carimi and Wright, and Jay Cutler was sacked 6 times, and was kicked in the throat. Later in the game, Bears offensive tackle Frank Omiyale pulled a Saints defender of Cutler after what Omiyale called "some dirty stuff"." Against their hated rivals, the Bears seemed lost for much of the game, allowing Aaron Rodgers to throw three touchdown passes to tight end Jermichael Finley, and the Bears running game was only able to collect 13 yards. Though Jay Cutler threw for 302 yards, two touchdowns, and a 78.9 passer rating, he was also intercepted twice by Morgan Burnett, and was sacked three times. After the Packers led 14–0 in the first quarter, Cutler would find rookie Dane Sanzenbacher on a 4-yard touchdown pass. After Mason Crosby made a field goal, the Bears would score on Robbie Gould's 25-yard field goal. The Packers would then score ten more points. After Cutler was intercepted, Lance Briggs would strip James Starks, and Julius Peppers would recover the loose ball. Cutler would then hit Kellen Davis on a 32-yard touchdown pass, but would fail to score for the rest of the game. The Bears would have narrowed the score to three points on a trick play, but was nullified by a penalty. On a punt late in the game, Devin Hester drifted to the left with blockers covering him, giving them the impression that Hester will return, but the punt was actually heading towards Johnny Knox, who returned the punt 89 yards for a touchdown. However, the play would be nullified after cornerback Corey Graham was penalized for holding. The loss gave the Bears a 1–2 record. Against former defensive coordinator Ron Rivera and tight end Greg Olsen, the Bears scored touchdowns on all three phases (offense, defense, special teams). Matt Forte, who was only able to record two yards the week before, recorded 205 yards against Carolina, as well as a 17-yard touchdown run. Though the Bears defense was able to keep Carolina from converting only 2 of 12 third down attempts, and D. J. Moore was able to pick off Cam Newton, the defense did not record a sack, and allowed 547 yards. Devin Hester also returned a punt 69 yards for a touchdown, which broke the all-time punt return touchdown record. Hester would also return a kickoff 73 yards. However, Newton completed 27 of 46 passes for 374 yards, 1 touchdown and an 83.1 passer rating while also rushing for 35 yards and two TDs on eight carries, and the score was 34–29 late in the game when Newton connected with Olsen with :04 left in the game. The Panthers attempted to kick an onside kick, but Hester would recover the kick and give Chicago the victory. The victory gave Chicago a 2–2 record. Coming off their home win over the Panthers, the Bears flew to Ford Field for a Week 5 Monday Night duel with their NFC North foe, the Detroit Lions. After a scoreless first quarter, Chicago trailed in the second quarter with Lions quarterback Matthew Stafford completing a 73-yard touchdown pass to wide receiver Calvin Johnson. The Bears would answer with a 44-yard field goal from kicker Robbie Gould, followed by quarterback Jay Cutler finding tight end Kellen Davis on a 9-yard touchdown pass. Detroit responded in the third quarter with Stafford completing an 18-yard touchdown pass to tight end Brandon Pettigrew, followed by running back Jahvid Best getting an 88-yard touchdown run. Chicago tried to rally in the fourth quarter with a 49-yard field goal from Gould, but the Lions pulled away with kicker Jason Hanson nailing a 31-yard field goal. With the loss, the Bears fell to 2–3. On Sunday night, the Bears would once again score on all three phases. The offensive line improved, allowing Jay Cutler to be sacked only once. Cutler would complete 21 of 31 passes for 267 yards with two touchdowns and a 115.9 passer rating. On the Bears opening possession, Cutler would fire a 48-yard touchdown pass to Devin Hester; it was the first time that the Bears scored a touchdown on the opening drive. Making his NFL debut, Stephen Paea sacked Donovan McNabb in the end zone for a safety, increasing the score to 9–0. Marion Barber would then score on a 3-yard run. Ryan Longwell would then kick a 37-yard field goal to make the score 16–3, but Cutler's 18-yard pass to Dane Sanzenbacher and Robbie Gould's 51-yard field goal increased the lead to 26–3. In the second half, Vikings defensive end Jared Allen would then force a fumble, and Adrian Peterson would then score, making the score 26–10, but Devin Hester would then return a kickoff 98 yards for a touchdown to increase the lead to 33–10. Gould would then kick two field goals to end the game at 39–10. The Bears defense would record five sacks, including two by Julius Peppers, who started the game despite being listed as "Doubtful" due to a sprained knee. The defense would limit Peterson to just 39 yards, the lowest he recorded against the Bears. With the win, the Bears improved to 3–3. In the team's first international game since the 1997 American Bowl, the Bears traveled to London to take on the Buccaneers. The Bears struck first when Matt Forte scored on a 32-yard touchdown. However, Tampa Bay would then strike back when Ronde Barber tackled Forte in his own end zone for a safety. Jay Cutler would then hit Roy Williams for a 25-yard touchdown, and Tampa Bay would then score on a Connor Barth field goal. In the third quarter, Marion Barber would score on a 12-yard run. In the fourth quarter, Tampa Bay would attempt to fight back and scored 2 touchdowns, but a Robbie Gould field goal and a D. J. Moore interception would then put the game away. Chicago improved to 4–3 with the win. After the game across the Atlantic, the Bears would have a bye week upon their return to the United States. Coming off their bye week, the Bears flew to Lincoln Financial Field for a Week 9 Monday night duel with the Philadelphia Eagles. Chicago delivered the game's opening punch in the first quarter as quarterback Jay Cutler found tight end Matt Spaeth on a 5-yard touchdown pass. The Bears added onto their lead in the second quarter with a 51-yard field goal from kicker Robbie Gould. The Eagles would answer with kicker Alex Henery getting a 47-yard field goal, followed by linebacker Brian Rolle returned a fumble 22 yards for a touchdown, yet Chicago closed out the half with a 2-yard touchdown run from running back Marion Barber. Philadelphia took the lead in the third quarter with running back Ronnie Brown getting a 4-yard touchdown run, followed by running back LeSean McCoy getting a 33-yard touchdown run. The Bears replied with a 38-yard field goal from Gould. Afterwards, Chicago regained the lead in the fourth quarter with Cutler connecting with wide receiver Earl Bennett on a 5-yard touchdown pass. On the Eagles possession, punter Chas Henry attempted to pass to Colt Anderson on a fake punt, which fell short. Gould would then make a 22-yard field goal. The Eagles tried to rally, but the Bears defense would hold on for the victory. With the win, Chicago improved to 5–3. CHI – Matt Forte 6-yard run (Robbie Gould kick), Bears 7–0,, Drive: 4 plays, 30 yards, 1:41. CHI – Robbie Gould 43-yard field goal, Bears 10–0, Drive: 8 plays, 37 yards, 3:36. CHI – Robbie Gould 35-yard field goal, Bears 13–0, Drive: 8 plays, 35 yards, 2:44. CHI – Devin Hester 82-yard punt return (Robbie Gould kick), Bears 20–0, Drive: 1 play, 82 yards, 0:00. DET – Jason Hanson 29-yard field goal, Bears 20–3, Drive: 4 plays, 9 yards, 0:49. DET – Jason Hanson 35-yard field goal, Bears 20–6, Drive: 14 plays, 48 yards, 5:25. CHI – Major Wright 24-yard interception return (Robbie Gould kick), Bears 27–6, Drive: 1 play 24 yards, 0:00. CHI – Charles Tillman 44-yard interception return (Robbie Gould kick), Bears 34–6, Drive: 1 play, 44 yards, 0:00. CHI – Robbie Gould 50-yard field goal, Bears 37–6, Drive: 6 plays, 47 yards, 2;33. DET – Tony Scheffler 10-yard pass from Matthew Stafford (Jason Hanson kick), Bears 37–13, Drive: 8 plays, 56 yards, 2:00. The Bears made up for their Week 5 loss against the Lions by forcing six turnovers, and led 20–6 at halftime. Early in the third quarter, Major Wright and Charles Tillman returned interceptions of 24 and 44 yards, respectively, for touchdowns in a 1:52 span. This game was the first time the Bears returned two interceptions for touchdowns since the 1993 season, where they defeated Brett Favre's Packers 30–17. Tillman had a career game against Lions receiver Calvin Johnson, who led the NFL in touchdown receptions at the time. Tillman allowed Johnson to catch only seven out of 19 passes that were thrown his way. During the game, Bears nickelback D. J. Moore was ejected from the game after fighting with Lions quarterback Matthew Stafford, who had pulled Moore down by his helmet during Tim Jennings' interception return. The incident would eventually lead to a brawl between the two teams, and chanting from the crowd. Chicago became 6–3 with the win. The Chargers struck first on a Nick Novak 28-yard field goal, but Robbie Gould's 42-yard field goal and Marion Barber's 1-yard touchdown run gave the Bears a 10–3 lead. Philip Rivers would then find Antonio Gates on an 8-yard pass, but Jay Cutler and Kellen Davis would connect to give the Bears the lead in the second quarter. In the third quarter, Rivers would find Vincent Jackson to tie the game, but Cutler would then score two more touchdowns on a one-yard run, and Charles Tillman would force a Ryan Mathews fumble. Cutler would then throw a 24-yard touchdown pass to Johnny Knox to make the score 31–17. Novak would then score on a 48-yard field goal to end the game with a Bears 31–20 victory. Cutler passed for two touchdowns and ran for a third. He also completed 18 of 31 attempts for 286 yards and a 97.0 passer rating. However, Cutler would break his thumb when he was attempting to tackle Antoine Cason early in the fourth quarter, who had intercepted his pass. The injury would end his season. Despite Cutler's injury, the Bears would improve to 7–3. In Caleb Hanie's first NFL start, he threw three interceptions in the first half, but was able to rally by completing 18 of 36 passes for 254 yards, two touchdowns and a 56.9 passer rating. However, Raiders kicker Sebastian Janikowski's six field goals would put the game away. Late in the fourth quarter, with the Bears down 25–20, Hanie attempted to rally the Bears from their own 4-yard line. When the Bears reached their own 46-yard line with less than ten seconds in the game, Hanie dropped back and looked around as if he was going to throw before spiking, drawing an intentional grounding penalty. Since intentional grounding penalties have a ten-second runoff, the game ended in defeat for Chicago. The loss would put Chicago at 7–4. The Bears ended up losing another player for the season when they lost Matt Forté after he sprained his knee. The Chiefs would score the game-winning touchdown on a Hail Mary when Tyler Palko's pass was batted down by Brian Urlacher and Chris Conte, but the ball would land in Dexter McCluster's hands. The Bears fell to 7–5 with the loss. Against Tim Tebow and the Broncos, the two teams would be in a 0–0 deadlock in the first half, though the Broncos would nearly score in the second quarter on a 28-yard field goal, which would then be blocked by Julius Peppers. The Bears would then score 10 points on Marion Barber's 9-yard touchdown run, and Robbie Gould's team record-breaking 57-yard field goal, but Tebow's touchdown pass to Demaryius Thomas and Matt Prater's 59-yard field goal would tie the game. Barber would commit two costly mistakes during the late portion of the game. In the fourth quarter, Barber would run out of bounds with 1:55 left, and Barber would also fumble in overtime. The Broncos would then move downfield and kick a game-winning field goal. The overtime loss dropped Chicago to 7–6. The Bears received a scare in the Seahawks game when wide receiver Johnny Knox bent his back awkwardly after taking a hit on Seahawk's defensive end Anthony Hargrove while trying to recover his own fumble. Knox remained down for nearly ten minutes leaving Bears fans in shock. The major hit ended the receiver's season, and he was placed on injured reserve. In the game, the Bears would lead 14–7 in the first half, but would end in disaster when they were outscored 31–0 in the second half including two defensive touchdowns. First, Hanie threw a pass that was intercepted by the Seahawks Red Bryant and he returned it 20 yards for a touchdown. The second one which Hanie threw was picked off by Brandon Browner and he returned it 42 yards for a touchdown. Hanie would then be benched late in the game and replaced by Josh McCown. The loss gave the Bears a .500 winning percentage and a 7–7 record. After backup quarterback Caleb Hanie showing poor performance in his starting of 4 games that were all losses, the Bears decided to start third string quarterback Josh McCown who was recently signed after being waived by the 49ers. McCown would complete 19 of 28 passes for 242 yards with one touchdown, two interceptions and a 76.8 passer rating, and wasn't sacked. He also rushed for 38 yards on eight carries. Kahlil Bell, filling in for Forte and Barber, would record 121 yards on 23 carries and caught four passes for 38 yards. The Packers would eliminate the Bears from playoff contention with a score of 35–21, and the Bears would fall to 7–8. The Bears finally snapped their five-game losing streak on New Year's Day by beating the Vikings 17–13. The Bears also suffered through another devastating injury when linebacker Brian Urlacher sprained his left MCL after colliding into safety Major Wright. Vikings defensive end Jared Allen came close to breaking Michael Strahan's record for most sacks in a season, sacking Josh McCown 3½ times, and was ½ sacks away from breaking the record, but McCown was able to prevent Allen from breaking the record. The Vikings scored on first on Ryan Longwell's 26-yard field goal and Percy Harvin's touchdown run, both stemming from fumbles by Earl Bennett and Kahlil Bell. However, the Bears would then score on McCown's 22-yard pass to Roy Williams and Charles Tillman's interception return for a touchdown after intercepting Christian Ponder. After Julius Peppers blocked Longwell's field goal, Cedric Griffin would intercept McCown, but the Vikings would then botch the snap on a field goal attempt. D. J. Moore would then close the game out by intercepting Joe Webb, ending the Bears season at 8–8. stats are updated through the end of Week 12. Stats will be added after Week 12. MLB Brian Urlacher was named NFC Defensive player of the week for games played during Week 1. RB Matt Forte was named FedEx Ground Player of the Week(Running Backs)for games played during Week 4. WR Devin Hester was named NFC Special Teams player of the week for games played during Week 4. WR Devin Hester was named NFC Special Teams player of the week for games played during Week 6. OLB Lance Briggs was named NFC Defensive player of the week for games played during Week 7. WR Devin Hester was named NFC Special Teams player of the week for games played during Week 10. WR Devin Hester was named the NFC Special Teams Player of the Month for games played during the month of October. DE Julius Peppers was named the NFC Defensive Player of the Month for games played during the month of November. WR Devin Hester set the Bears and NFL record for Most career punt returns for touchdowns with 11 on his 69-yard punt return touchdown during Week 4 against Carolina Panthers at Soldier Field. ↑ This game was televised locally on WLS-TV. Wikimedia Commons has media related to 2011 Chicago Bears season. ↑ "NFL to return to Wembley in October 2011". TheFA.com. Retrieved July 26, 2011. ↑ Trotter, Jim (2011-03-04). "NFL, NFLPA agree to seven-day extension in labor negotiations". SI.com. Archived from the original on 24 March 2011. Retrieved 2011-03-12. ↑ Trotter, Jim (2011-03-11). "NFLPA files to decertify as a union". SI.com. Retrieved 2011-03-12. ↑ "NFL players ratify collective bargaining agreement, which includes HGH testing, sources say – ESPN". Espn.go.com. 2011-08-05. Retrieved 2011-09-22. ↑ Seligman, Andrew (26 July 2011). "NFL's Free-Agent Frenzy: Wild Times in NFL". ABC News. Archived from the original on 27 July 2011. Retrieved August 17, 2011. ↑ Pompei, Dan (April 29, 2011). "Paea fits the bill for Bears: Oregon State defensive tackle the versatile player Angelo was looking for". Chicago Tribune. Retrieved May 2, 2011. 1 2 "Bears agree to terms with 26 rookies". Chicago Bears. Retrieved July 26, 2011. ↑ "Bears agree to terms with 11 free agents". Chicago Bears. Retrieved July 29, 2011. 1 2 3 4 5 6 7 8 9 10 11 12 13 14 15 16 17 18 19 20 21 22 23 24 25 26 27 28 29 30 31 32 "Transactions". Chicago Bears. Retrieved August 5, 2011. ↑ "Bears add RB Marion Barber". Chicago Bears. Retrieved July 30, 2011. ↑ "Bears land Spencer; Kreutz era is over". Chicago Bears. Retrieved July 31, 2011. ↑ "Bears, Desmond Clark agree". ESPN Chicago. Retrieved August 16, 2011. ↑ "Bears waive QB Matt Guiterrez, RB Dan Dierking". Washington Post. August 8, 2011. Retrieved August 9, 2011. 1 2 "Olin Kreutz, Saints agree on deal". ESPN Chicago. August 6, 2011. Retrieved August 17, 2011. 1 2 "Texans sign Brad Maynard". Pro Football Talk. August 1, 2011. Retrieved August 17, 2011. ↑ "Vikings Land Former Bears WR Aromashodu". Yahoo! Sports. July 26, 2011. Retrieved August 17, 2011. ↑ "Oakland Raiders Sign Veteran Safeties to Boost Injury Depleted Roster". Football News Now. August 15, 2011. Retrieved August 17, 2011. ↑ "Bears WR Rashied Davis Signs With Lions". Fox Chicago. July 27, 2011. Retrieved August 17, 2011. ↑ "Agent: Danieal Manning, Texans agree". ESPN Chicago. July 27, 2011. Retrieved August 17, 2011. ↑ "Bears deal Olsen to Panthers for pick". Chicago Bears. Retrieved July 28, 2011. ↑ "Bears assistant joins Panthers". Chicago Sun-Times. January 31, 2011. Retrieved July 28, 2011. ↑ "Bears hired Phair as new D-line coach". Chicago Bears. February 3, 2011. Retrieved July 28, 2011. ↑ "Chicago Bears Training Camp Locations". Pro-Football-Reference.com. August 10, 2011. Retrieved August 10, 2011. ↑ "NFL Post-Lockout Calendar". CNBC. July 29, 2011. Retrieved August 13, 2011. ↑ "ProFootballTalk.com". Pro Football Talk. August 20, 2011. Retrieved August 21, 2011. ↑ "NFL lockout: Tony Grossi addresses frequently asked questions". The Plain Dealer. July 22, 2011. Retrieved August 13, 2011. ↑ "Bears hold final camp practice". The Plain Dealer. August 19, 2011. Retrieved August 21, 2011. 1 2 3 "Cutdown day: Bears release Taylor, Harrison". Chicago Tribune. September 4, 2011. Retrieved September 4, 2011. 1 2 "Bears waive CB Joshua Moore". Chicago Tribune. September 5, 2011. Retrieved September 5, 2011. 1 2 "Bears sign former Patriots safety Meriweather". Chicago Tribune. September 4, 2011. Retrieved September 4, 2011. 1 2 "Bears re-sign Adams, Horn; add Allen to practice squad". Chicago Tribune. September 4, 2011. Retrieved September 4, 2011. ↑ "Seven players added to practice squad". ChicagoBears.com. September 4, 2011. Retrieved September 4, 2011. ↑ "Family Fest practice canceled". Chicagobears.com. 2011-08-05. Retrieved 2011-08-06. ↑ "Bears players want artificial surface at Soldier Field". CBS Sports. August 6, 2011. Retrieved 2011-08-06. ↑ "Emanuel wants solution to Soldier Field turf problem". Chicago Sun-Times. August 9, 2011. Retrieved August 9, 2011. ↑ "McCaskey: Bears will monitor Soldier Field closely, but no turf". NFL.com. August 9, 2011. Retrieved August 9, 2011. ↑ "Bears will remain a grass act". Chicago Sun-Times. August 9, 2011. Retrieved August 9, 2011. ↑ "Hall of Fame Game will feature Bears". Chicago Bears. April 12, 2011. Retrieved July 28, 2011. 1 2 "NFL cancels Bears-Rams Hall of Fame Game". Chicago Bears. July 21, 2011. Retrieved August 6, 2011. ↑ "NFL Game Center: Buffalo Bills at Chicago Bears". NFL.com. August 13, 2011. Retrieved August 13, 2011. ↑ Biggs, Brad (August 13, 2011). "Bears' offense fails to impress in 10–3 victory". Chicago Tribune. Retrieved August 13, 2011. 1 2 3 "Offensive Line Checks out OK for Bears". National Football Post. August 23, 2011. Retrieved August 23, 2011. ↑ "Bears struggle in red zone". Chicago Tribune. August 23, 2011. Retrieved August 23, 2011. ↑ "Brad Biggs: 10 thoughts on the Chicago Bears' loss to New York Giants". Chicago Tribune. August 23, 2011. Retrieved August 23, 2011. ↑ "Wide receiver Roy Williams under increased scrutiny". Sporting News. August 23, 2011. Retrieved August 23, 2011. ↑ "Bears offense shows some smoothness in 14–13 loss". Chicago Tribune. August 27, 2011. Retrieved September 4, 2011. ↑ "Chicago Bears: Four downs". Chicago Tribune. September 1, 2011. Retrieved September 1, 2011. ↑ "Bears conclude preseason with win". ChicagoBears.com. September 1, 2011. Retrieved September 1, 2011. ↑ "Chicago Bears Network". ChicagoBears.com. Retrieved August 17, 2011. ↑ "ABC 7 TV Listings". ABC 7 Chicago. Retrieved August 17, 2011. ↑ "Bears, division foes in national spotlight". Chicagobears.com. Retrieved May 1, 2011. ↑ "Chicago Bears set to play Tampa Bay Buccaneers in London in October". ESPN. April 18, 2011. Retrieved May 1, 2011. ↑ "Chicago Bears to wear Orange against Green Bay, Detroit". ChicagoBears.com. September 20, 2011. Retrieved September 20, 2011. ↑ "Bears make opening statement with rout of Falcons". Chicago Tribune. September 11, 2011. Retrieved September 11, 2011. ↑ "Atlanta Falcons vs. Chicago Bears – Recap". ESPN. September 11, 2011. Retrieved September 11, 2011. ↑ "Forte shines in his return to Louisiana". Chicagobears.com. Retrieved 2012-08-13. ↑ Wright, Michael C. "Bears wonder if Saints targeted them". ESPN Chicago. Retrieved 2012-03-06. ↑ "Mistake-prone Bears fall to rival Packers". Chicagobears.com. 2011-09-25. Retrieved 2012-08-13. ↑ "Key aspects of fake went as planned". Chicagobears.com. 2011-09-27. Retrieved 2012-08-13. ↑ "Rivera, Olsen fall to their former team". Chicagobears.com. 2011-10-03. Retrieved 2012-08-13. ↑ "Hester sets another NFL return record". Chicagobears.com. 2011-10-02. Retrieved 2012-08-13. ↑ "All three phases lift Bears over Panthers". Chicagobears.com. 2011-10-02. Retrieved 2012-08-13. ↑ "Bears offensive line shows improvement". Chicagobears.com. 2011-10-17. Retrieved 2012-08-13. ↑ "Hester pads his all-time NFL record". Chicagobears.com. Retrieved 2012-08-13. ↑ "Bears pound Vikings in NFC North clash". Chicagobears.com. 2011-10-16. Retrieved 2012-08-13. ↑ "Bears hang on for key win over Bucs". Chicagobears.com. 2011-10-23. Retrieved 2012-08-13. ↑ "NFL Videos: Eagles botch fake punt," NFL.com (November 8, 2011). Retrieved August 13, 2012. ↑ "Situational Updates". Chicago Bears. 2010-10-24. Retrieved 2012-08-13. ↑ "Bears force Lions to commit six turnovers". Chicagobears.com. Retrieved 2012-08-13. 1 2 "Tillman put clamps on Lions receiver". Chicagobears.com. 2011-11-14. Retrieved 2012-08-13. ↑ "Cutler, offense lead Bears over Chargers". Chicagobears.com. 2011-11-20. Retrieved 2012-08-13. ↑ "Chicago Bears' Jay Cutler to have surgery on fractured thumb – ESPN Chicago". Espn.go.com. 2011-11-22. Retrieved 2012-08-13. ↑ "Winning streak ends with loss to Raiders". Chicagobears.com. 2011-11-27. Retrieved 2012-08-13. ↑ "Kicker, punter boot Raiders to victory". Chicagobears.com. 2011-11-28. Retrieved 2012-08-13. ↑ "Hanie shows flashes but turnovers costly". Chicagobears.com. 2011-11-28. Retrieved 2012-08-13. ↑ "Matt Forte Injury Update: Leaves Game With Knee Injury". Midwestsportsfans.com. 2011-12-04. Retrieved 2012-08-13. ↑ "Bears victimized by Hail Mary TD pass". Chicagobears.com. 2011-12-04. Retrieved 2012-08-13. ↑ "Bears blow 10-point lead late in OT loss". Chicagobears.com. 2011-12-11. Retrieved 2012-08-13. ↑ Greenberg, Chris (December 18, 2011). "Johnny Knox Injury: Bears WR Suffers Back Injury, Is Carted Off After Brutal Hit (VIDEO)". Huffingtonpost.com. Retrieved 2012-08-13. ↑ "Bears unravel in second half of loss". Chicagobears.com. 2011-12-18. Retrieved 2012-08-13. ↑ "McCown tabbed to start in Green Bay". Chicagobears.com. Retrieved 2012-08-13. ↑ "Bell, McCown give offense a boost". Chicagobears.com. 2011-12-26. Retrieved 2012-08-13. ↑ "Loss to Pack ends Bears' playoff hopes". Chicagobears.com. 2011-12-25. Retrieved 2012-08-13. ↑ "Urlacher sprains left MCL late in victory". Chicagobears.com. 2012-01-01. Retrieved 2012-08-13. ↑ "McCown solid again in his second start". Chicagobears.com. 2012-01-01. Retrieved 2012-08-13. ↑ "Bears finish season with comeback win". Chicagobears.com. 2012-01-01. Retrieved 2012-08-13. ↑ "NFL Stats: Players". NFL.com. Retrieved December 2, 2011. ↑ "NFL Stats: Teams". NFL.com. Retrieved December 2, 2011. ↑ "Brian Urlacher honored". ESPNChicago.com. Retrieved September 17, 2011. ↑ "FedEx Air and Ground Players of the Week". NFL.com. Retrieved October 17, 2011. ↑ Alper, Josh (October 5, 2011). "Devin Hester named NFC special teamer of the week for 10th time". Profootballtalk.com. Retrieved October 26, 2011. ↑ Smith, Michael David (October 19, 2011). "Bradshaw, Coleman, Hester named NFC players of the week". Profootballtalk.com. Retrieved October 26, 2011. ↑ Smith, Michael David (October 26, 2011). "Brees, Briggs, Crosby named NFC players of the week". Profootballtalk.com. Retrieved October 26, 2011. ↑ Smith, Michael (November 16, 2011). "Fitzgerald, Harper, Hester named NFC players of the week". Profootballtalk.com. Retrieved November 26, 2011. ↑ Davis, Nate (November 3, 2011). "Rodgers named NFC's offensive player of the month ... again". usatoday.com. Retrieved November 3, 2011. ↑ Davis, Nate (December 1, 2011). "Rodgers player of the month ... again, leads Pro Bowl voting". usatoday.com. Retrieved December 1, 2011.